January was a busy and exciting month for CARMA’s Placement Program. Three retired racehorses in our care graduated the program and began training towards their second careers in various equestrian sports, each with different CARMA Aftercare Partners. Secret Room is a four-year-old (2013) handsome bay gelding by Gone Astray out of an Afternoon Deelites mare named Noon Time Dancer. He was only in the Placement Program for a very short time before the stars aligned and connected him with Aftercare Partner Neigh Savers Foundation, who was seeking a Retired Racehorse Project candidate for 2017. Secret Room, who now goes by Salsa or Mr. Squishy, was the perfect fit! 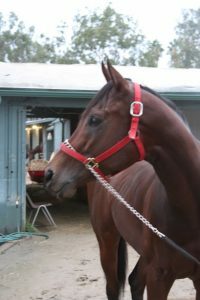 He is currently in full training with Lindy Christensen at LC Equestrian in Las Vegas, NV. Lindy fell in love with Salsa from the moment he stepped off the trailer and says he is a spectacular horse. Check out Neigh Savers Foundation bimonthly blog about Salsa’s road to the Retired Racehorse Project here. Red Hot Info is a four-year-old (2013) striking chestnut gelding by Informed out of a Horse Chestnut mare named My Red Lady. Any guesses on how he got his name? This boy has a future as bright as his copper penny colored coat. 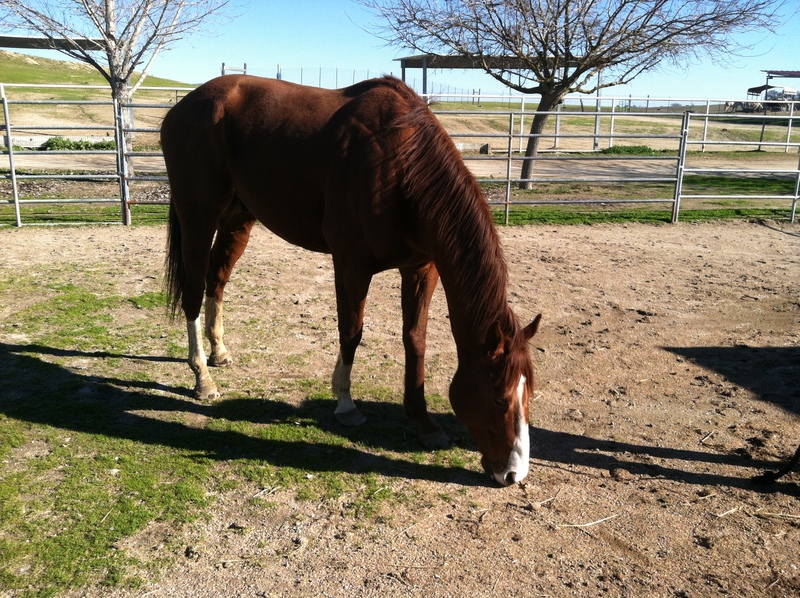 “Red” has taken up residence with CARMA’s newest Aftercare Partner Sandia Creek Ranch in Fallbrook, CA. His new caretakers report he is quickly learning that golf carts, rambunctious ponies and kids coming down the hill by his pasture are a normal occurrence and often results in treats! George Zip is a five-year-old (2012) handsome chestnut gelding by City Zip out of a Tale of the Cat mare named Curry Cat. 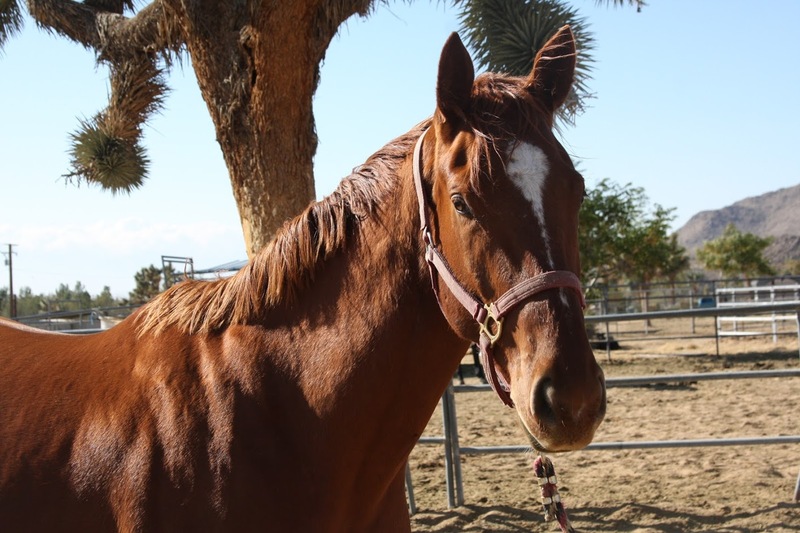 Gentle George is a remarkably kind horse who has found a home at Redwings Horse Rescue and Sanctuary in Lockwood, CA. He has settled into his huge pasture and loves racing the cart that delivers his hay.